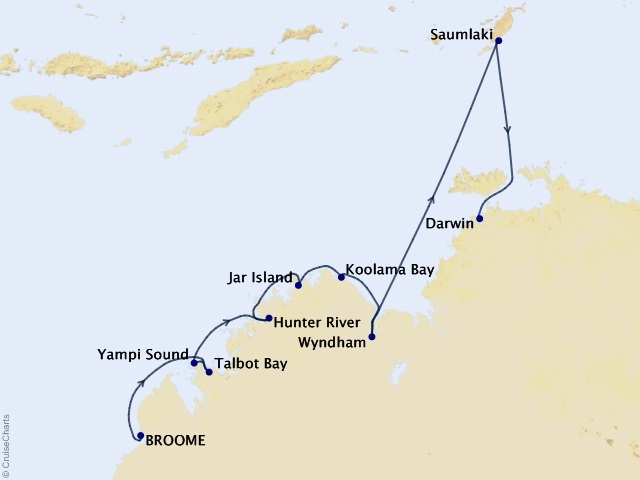 Departing from Broome on May 25, 2019. A culturally-rich itinerary, an enthusiastic and dedicated expedition team and all the amenities of superlative Silversea style, Silver Discoverer is truly the savvy travellers choice. Explore the remote archipelagos of the vast Pacific aboard the sleek, 120-guest Silver Discoverer - the perfect platform for viewing these untamed landscapes, with all ocean-view suites and plenty of deck space so that a breaching whale or a pod of dolphins is always within sight. Silver Discoverer’s shallow draft allows her to navigate closer to shore, and with a fleet of 12 Zodiacs, guests can land on isolated shores and explore wetlands and submerged ecosystems, up-close and in-depth. A quiet sanctuary. The suite's sitting area has plenty of room to relax while on your cruise. Large picture windows frame panoramic ocean views. The perfect backdrop for breakfast in bed. The perfect summary of The Medallion Suite offered by the world's best cruise line.